This year we are proud to announce the fourth annual Steamboat Stinger, The Steamboat Stinger, now a Colorado classic, aims to provide a challenging backcountry race experience showcasing some of Steamboat Springs’ finest singletrack. REGISTRATION IS NOT YET OPEN. WE ARE AWAITING FINAL PERMIT APPROVAL. WE WILL ANNOUNCE RACE REGISTRATION OPENING DATES SHORTLY. PLEASE CHECK BACK HERE FOR MORE INFORMATION. Just like in years past, in addition to the mountain bike race, we will also feature a full and half trail marathon as well. 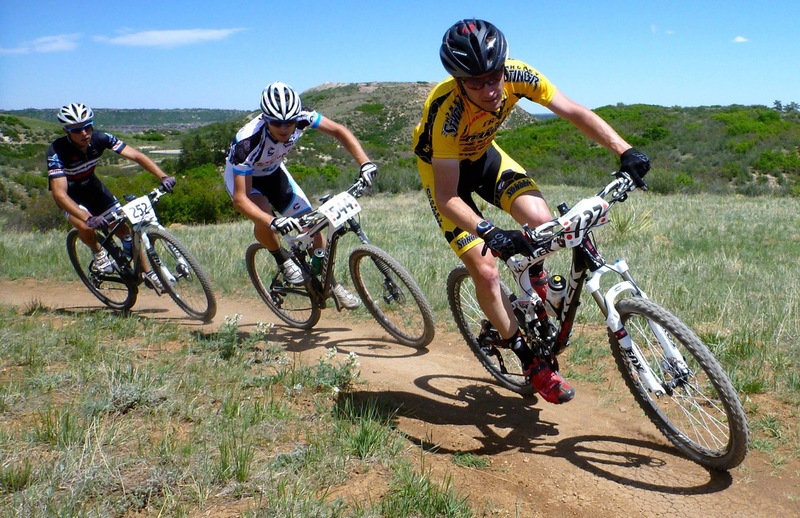 These two events can be separate, or if you wish to take the ultimate challenge, you can particiapte in both events- the 50 mile solo mountain bike race, and then the 26.2 trail marathing the next day – to be crowned King Sting or Queen Bee of the Steamboat Stinger. These events are true to Steamboat Springs’ tradition: epic fun with an added bit of western flair. Giddy up! You can expect singletrack…lots of it. Beginning at the Howelson Hill Ski Area right in the heart of Steamboat, the course takes an extended detour deep into the beautiful backcountry of Routt County before returning to the transition/finish area. Racers will wind through open meadows, deeply-cupped, aspen-lined, narrow Colorado loam and wild sage gardens offering incredible views of the surrounding peaks and valleys. It’s a 50-mile race, plus or minus a bit, composed of two 25-mile loops – 100% of which are on dirt featuring 90% singletrack. Full course info coming soon. The course for the running races have yet to be finalized but will be very similar, with the 26.2 Marathon course being nearly identical to one lap of the mountain bike course plus a bit more to reach marathon distance. The Half Marathon trail will not include Ridge Trail or Beall Trail. Full course info coming soon.